You all came to mind because this describes you. I cannot tell you how often I thank God for all of you and that he has allowed me to walk through life with you and to engage the mission that Jesus has called us to. To see what he has done in and through all of you over the past year and 9 months is amazing. And then to think of what is still to come through all of us together leaves me more excited than a kid on Christmas Eve. Thank you for your faith in Jesus. Thank you for how you love one another so well. Thank you for how you love me and my family with a love that is truly felt and appreciated. 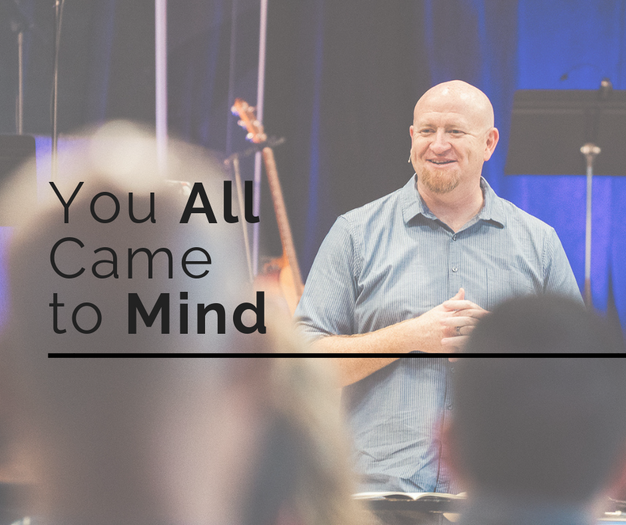 I cannot tell you how blessed and honored I am to get to pastor you all as we all walk together with Jesus to see everyone everywhere following Jesus. So thank you for being amazing. Love you all more than you know.